From Garsdale Station turn right almost immediately and proceed along the new Pennine Bridleway passing under Dandry Mire Viaduct and emerging at the main road and T junction opposite the Moorcock Inn. 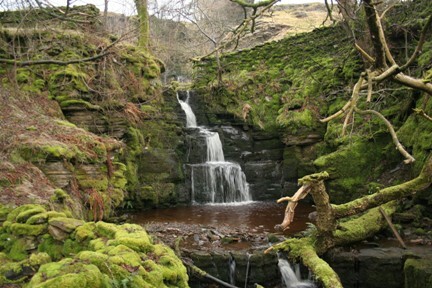 Turn left along the Kirkby Stephen Road and then immediately right to follow the bridleway to Ure Force Bridge. Take the right hand track up to Yore House Farm. Pass through the farm yard and a gate to the left of the farm. 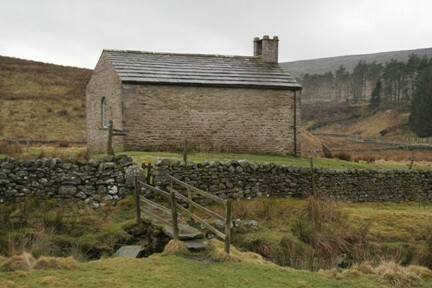 Cross a small stream and continue across the rough pasture towards Hawes running parallel to the River Ure and passing through 4 stiles and to the right of Cotterside Plantation. 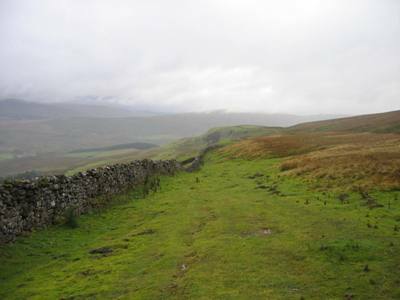 After crossing the 4th stile look for a stile midway along the wall and cross to the other side of the wall. This can be easily missed! 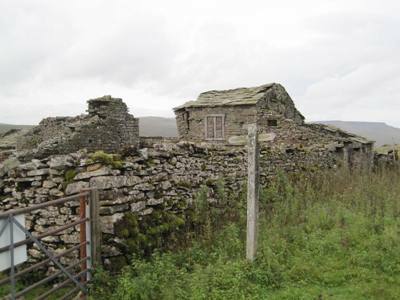 Continue across two further fields to emerge in the farmyard at Thwaite Bridge Farm. Immediate out of the farm and on to the old road turn left to climb steeply uphill through the copse. Cross a stile and after the second stile on the crest of the hill now turn left. This is the Highway. Continue along the Highway for 3 miles. The going is very easy apart from 1 dip just before High Dyke and the views are good. There are two opportunities to descend and shorten the walk the first being shortly after the plantation where the new Bridleway cuts in. This will go straight back to Ure Force. 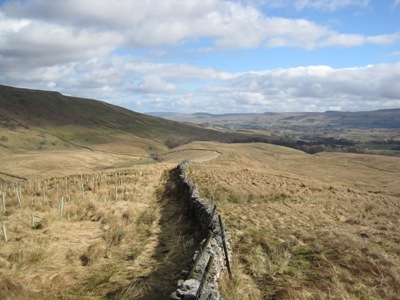 The second possibility is the path descending from High Dyke which descends to Blades Farm and then on to Ure Force. Alternatively: If the prospect of a boggy walk across the fields from Lunds is uninviting an alternative is to cross the River Ure by means of the footbridge and proceed along the track serving Lunds and through a plantation. After 200m or so bear left way from the track through the recently felled plantation and diagonally across two fields. This has the disadvantage of following the main road back to the Moorcock Inn for 1/2 mile or so. 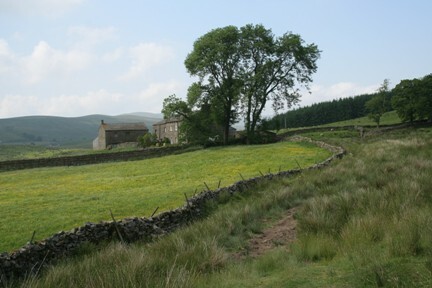 For the return walk to Garsdale Station, on leaving the Moorcock turn right and proceed along the main road towards Sedbergh for a very short while then turning left through a gate to follow the Pennine Bridleway which proceeds directly to the rear of the station passing under Dandry Mire Viaduct enroute. The station is slightly under a mile from the pub and 30-35 minutes should be allowed for this uphill walk! Remember that southbound trains run from the farthest platform and it is necessary to pass under the road bridge to gain access.